One of my favorite coffee shops, Joe The Art of Coffee, recently opened a new branch in an Alessi showroom at 130 Greene Street in Manhattan. 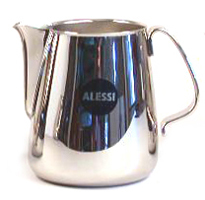 Alessi is one of those funny companies that sell expensive “design”. There are really three approaches to selling “design”. You can go the Ikea way: hire really good designers, mass-produce their designs, use cheap materials and sell them cheaply. On the other end of the spectrum is stuff like the concept pieces, like the magnetically floating bed that recently got all the gadget blogs very excited. The scale model will set you back over 100K euros, and the real one is so fricking impractical that it’s not even built. You can’t deny the coolness aspect though. 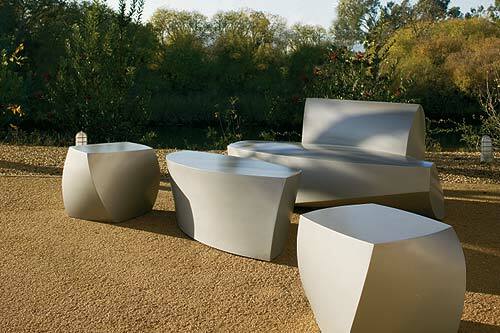 There’s the middle way that is tread by companies like Design Within Reach and Alessi. While a more proper description would be “Design Just Outside Most People’s Reach”, they do have a few items that are a relatively good value even for not particularly rich people like myself. 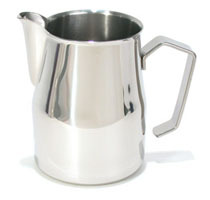 For instance, I really want an Alessi steam pitcher. But while a perfectly well made knockoff costs 35 bucks, a genuine item costs 114. Ouch. I have the knockoff, and it’s my favorite steam pitcher right now. But when it comes to something that I use constantly, there’s really no alternative to getting the real thing. A Herman Miller Aeron chair is significantly better than most knockoffs that I’ve seen and usually sells only for 1/2 as much. 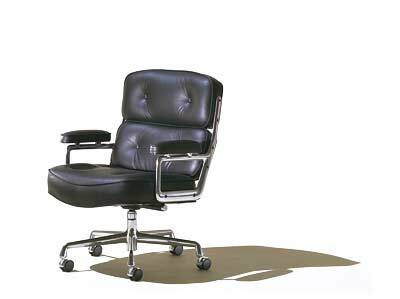 There’s another chair that I really want, the Eames “Time-Life Chair”. Manufactured and sold by Herman Miller, it was created for the lobby of the Time-Life building in Manhattan (where I used to frequently have lunch in the company cafeteria before they stopped letting in people from other Rockefeller Center buildings). 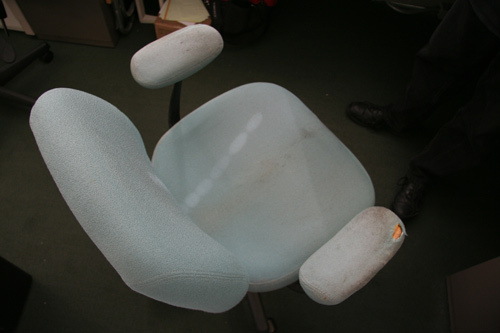 The chair was made famous by Bobby Fisher who required it as one of his numerous conditions when he played in the world chess championship against Boris Spassky. These days it cost about $2,500 new (about $1000 for a vintage one on eBay). Back then it used to cost about 700 bucks, and made all the newspapers whine about Fisher’s expensive tastes. I really don’t see a reason why someone who earns his living while sitting down does not deserve an expensive chair. Dot com companies got a lot of flack for purchasing Aeron chairs – but those were probably the most prudent investments they’ve made. Putting computer programmers in cheap chairs will literally cripple them, while the chair’s resale value is still pretty good. 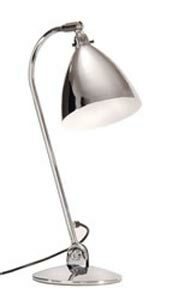 Another “high design” item that I really salivate over is the Bestlite lamp. Bestlite was made famous by Whinston Churchill who had one on his desk. While the price finally went down on the floor model from $748 to $349.95 at Levenger, it’s still out of reach for me. I see a lot of companies putting famous Barselona® chairs in their lobbies. These are pretty expensive at $3,499 a pop (a friend of mine slept on two of these during the big blackout of 03. Anyway, these chairs are classy, but are becoming a cliche. Wouldn’t a Frank Gheary living room set look much cooler? It’s also much cheaper – the sofa is “only” $1200. 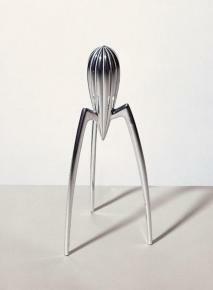 But the item that really made me scratch my head is the Philippe Starck-designed fruit juicer sold by Alessi. It costs about 80 bucks. I really don’t know what to think here. The juicer is definitely cool-looking and original (well, unless you count T4 Bacteriophage Virus, lunar lander and Spaceship Moya, etc) which resulted it being featured as a prop in several movies. I really don’t have 80 bucks to trow away on a Philippe Starck design, the question that bothers me is this: are all of those who say that the juicer is impractical right? From the looks of it, the juicer should work just fine and even be ergonomic. Also, is “Salif” even a word? And if so, what does it mean?